Wójcik Racing Team started off their second season racing the FIM EWC at a cracking pace. The Yamaha-mounted Polish team – a Formula EWC entry – finished the Bol d’Or in 11th place overall. Wójcik Racing Team did not reach the finish line of the 2017 Bol d’Or. Taking the chequered flag plus the EWC Dunlop Independent Trophy win complete with a €5,000 cash prize was a dual victory for Marek Szkopek, Pawel Szkopek and Pawel Gorka after a race strewn with pitfalls following a start from 33rd position on the grid. BMRT 3D Maccio Racing finished the race in 13th position overall to make their first appearance on the EWC Dunlop Independent Trophy’s list of winners. 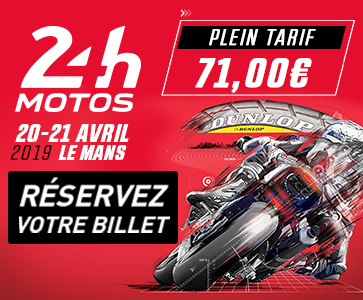 A newcomer in the ranks of the full-season FIM EWC teams, the French Superstock team on Kawasaki fielded a rider trio comprising Anthony Loiseau, Jimmy Maccio and Jonathan Hardt. BMRT 3D Maccio Racing received the €4,200 prize awarded to the second-place finisher of the Dunlop Trophy. Swiss team Zuff Racing rounded out the EWC Dunlop Independent Trophy. Sébastien Fraga, Adrien Pittet and Kevin Trueb turned in a faultless performance on Zuff Racing’s Superstock Honda, going from 41st on the starting grid to 14th past the chequered flag. They won €3,700 worth of prize money. 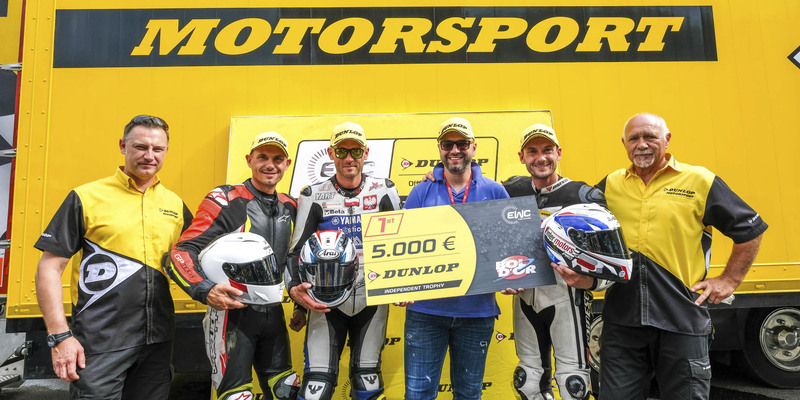 A dozen other privateer teams using Dunlop tyres received prizes at the Bol d’Or, with payouts ranging from €3,200 down to €700 for the team ranked 15th in the EWC Dunlop Independent Trophy. Renewed for the 4th consecutive season by FIM EWC promoter Eurosport Events, the organizers of individual FIM EWC races, and tyre manufacturer Dunlop, the EWC Dunlop Independent Trophy gives backing to Dunlop-shod privateer teams that do not benefit from direct support from a constructor.